Coonoor is popular for its spectacular views, retreats, and plantations but it also prides itself on its history. Droog Fort is a testament to that. Thirteen kilometers from the town center, the ruins of this 18th century fort can only be reached by trekking through a scenic route. At the end, the persistent hikers will be rewarded with a trip back to the past and gorgeous landscape that is perfect for bird watching. 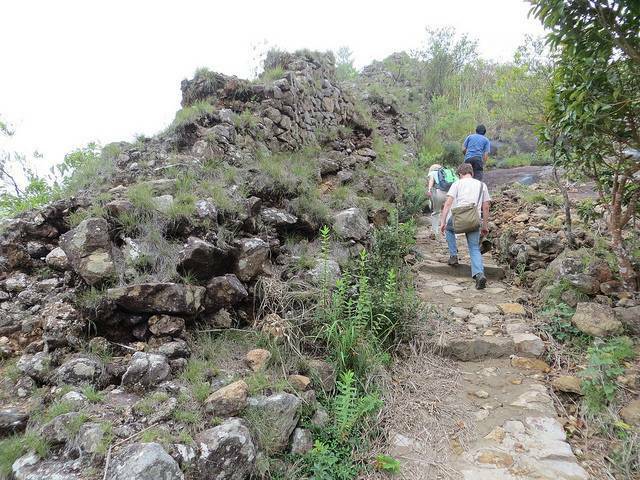 Droog Fort can be trekked to from Coonoor. You may also see or hear the fort referred to as BakasuraMalai. The fort stands at 2,000 meters above sea level. In the fort’s heyday Tipu Sultan used the fort for defence and to survey the valley below. These days, unfortunately, there isn’t much more than a wall left. But what time took from the fort it has been unable to take from nature; there is still an impressive view from the site of the fort.